Orange is highly beneficial for your skin because it has anti-aging, toning and astringent properties. This citrus fruit helps improve skin texture and complexion. In addition, it assists in restoring collagen, closing enlarged pores, and making the skin soft yet firm. Moreover, orange works as a natural home remedy for reducing acne, blemishes, and wrinkles. It fights free radicals, detoxifies the skin, and can even help prevent skin cancer. Thus, being packed with vitamin C, vitamin B complex, beta carotene, folic acid, magnesium, calcium, and potassium, orange is considered good for your skin and overall health. 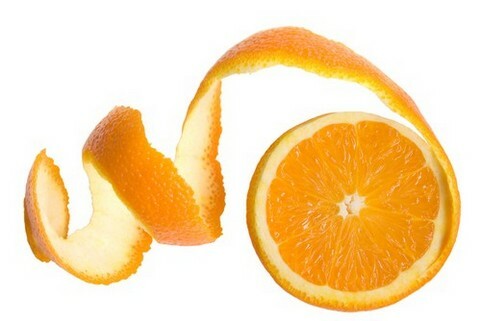 • Simply rubbing fresh orange peel on your face helps lighten skin color. Moreover, it tightens the skin and improves the texture. Furthermore, these peels can be soaked in boiling water for a day and the resultant liquid can be used as a skin toner. You can also use it as a hair rinse to add shine to your hair and get rid of dandruff. • Shrink enlarged pores and maintain clear, younger-looking skin by regularly applying fresh orange juice on your skin for a few minutes. It can heal issues like dark spots, pimples, and wrinkles as well. Besides, you can rub frozen orange juice ice cubes (pour orange juice in an ice tray and freeze it) on your skin to revitalize your skin. It is particularly useful for oily, acne-prone skin. • Mix orange peel powder and raw milk in equal amounts to form a smooth paste. Set it aside for a couple of hours. Finally, scrub your skin with this mask and leave it for almost half an hour to get soft, glowing skin. It works as a natural bleach and reduces sun tan when applies about three times in a week for at least a month. In case you have oily skin you may replace milk with water or a tablespoon of apple cider vinegar. To make orange peel power, keep orange peels out in the sun for a week or so for drying and then grind them. Here’s a video showing ho to make a simple face mask with orange juice and yogurt. • Those with oily skin can apply a homemade face mask prepared by adding two tablespoons of green clay, one tablespoon of powdered milk, and a little water in freshly squeezed orange juice taken from a medium-sized orange. Keep the mask aside for half an hour. Finally, apply it on your face and neck and rinse it off with warm water after 20 minutes. Follow up with a toner and moisturizer. • Moisturize, smoothen, and brighten your skin by applying a combination of orange juice and coconut oil for about 10 minutes and then rinse it off with lukewarm water. • Give a healthy glow to your skin by mixing three tablespoons of orange juice in half a cup of organic honey and smearing this solution onto your face and neck for 20-25 minutes. • Prepare an exfoliating face mask at home by blending an egg white, two tablespoons of non-fat milk powder, one tablespoon of oatmeal, and half a cup of orange juice. Scrub your skin with this paste and remove it after about 20 minutes. If you do not have milk powder, then use two tablespoons of oatmeal. • Take half a banana, mash it in a bowl with the help of a fork or spoon, and mix one tablespoon each of orange juice and honey in it. Apply this homemade beauty recipe for 15 minutes and then wash it off with lukewarm water. • Add five tablespoons of plain yogurt, two tablespoons of honey, and two teaspoons of orange juice in half a cup of instant oatmeal. This moisturizing face mask helps maintain soft, smooth and radiant skin. Apart from applying orange juice and peels on skin, you can consume this fruit and its juice regularly to boost immunity, aid in digestion, prevent kidney stones, reduce fat deposits, teat bad breath, lower blood pressure and cholesterol levels, and decrease the chances of developing heart disease.